This vintage beauty has been re- capped and the power cord was replaced with a modern 3-prong cord. The tolex and speaker fabric are in great condition. Two of the original four 10’s are blown, but we retired the other two in series. They are in perfect working order. 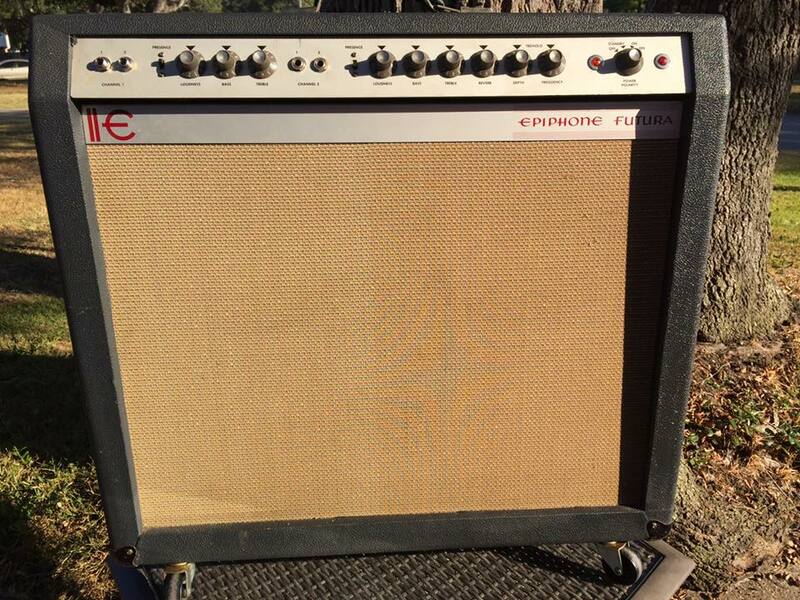 The amp is in impeccable condition with beautiful tone, reverb and tremolo. It is due for a good set of tubes though as they are the original tubes.